Being undead can be disorienting. Your arms and other appendages tend to rot and fall off. It’s difficult to communicate with a vocabulary limited to moans and gurgles. And that smell! (Yes, it’s you.) But most of all, you must constantly find and ingest human brains. Braaaains!! 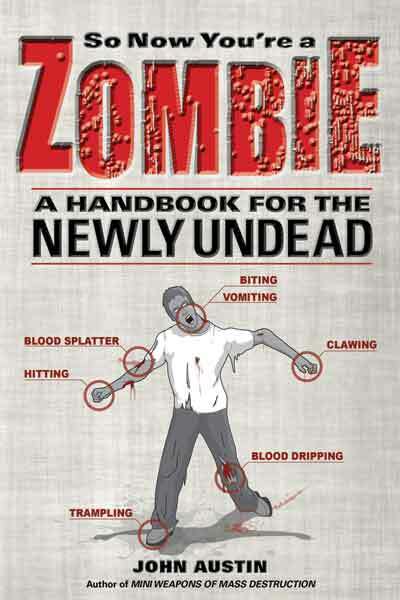 What’s a zombie to do?This handbook also explores the upside of being a zombie. Gone are the burdens of employment, taxes, social networks, even basic hygiene, allowing you to focus on simple necessities in “life”: the juicy gray matter found in the skulls of the living. The zombie lore was interesting in this book. Like a lot of zombie plauges, this one was caused by a virus. In this case, the virus not only causes reanimation, but also causes the desire to seek out and devour human flesh…that is pretty much standard for many of the other books/movies in the zombie cannon. (Noted exception…in the 28 Days franchise, the virus doesn’t actually kill the people…only make them animalistic and full of rage) One thing that was different than most traditional zombies is that their insides still worked in order to feed the virus…I don’t know about you , but when I picture my zombies, I picture intestines falling out, maybe a limb or two missing. Lol The last page of the book was freaking hilarious. I laughed out loud. Overall it was a very enjoyable book. Any fan of zombies, infections, etc would love to get their hands on this book. The drawings and cartoons in the book are hilarious and just as descriptive and relevant as the text. There was lots of blood and gore without it being too graphic, so I think younger teens could enjoy it as well as older people like me :P It is kind of just good for a laugh however, so I would imagine that it would be best to borrow from friends or to get it from the library like I did. Even though I enjoyed it, I probably won’t ever read it again. 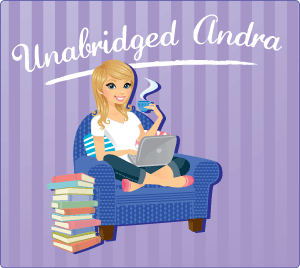 Zombie books are a hit and miss...I liked how you ended your review! I just picked this up for the Kindle. It looked really fun to read. I have been reading a fair amount of horror related things for October and wanted something less serious.